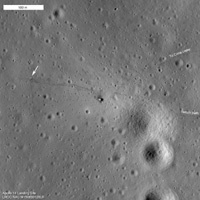 NAC image of the Apollo 14 landing site acquired 25 January 2011. Descent stage of lunar module Antares in center, image width is 500 meters. The LROC Narrow Angle Cameras continue to image the Apollo landing sites as the mission progresses. Every time LRO passes overhead, the Sun is at a different position so each image gives a different perspective. Repeat imaging also serves LROC cartographic goals. Since the position of the lunar modules and other pieces of hardware are very accurately known, the LROC team can check the accuracy of the mission-provided ephemeris. 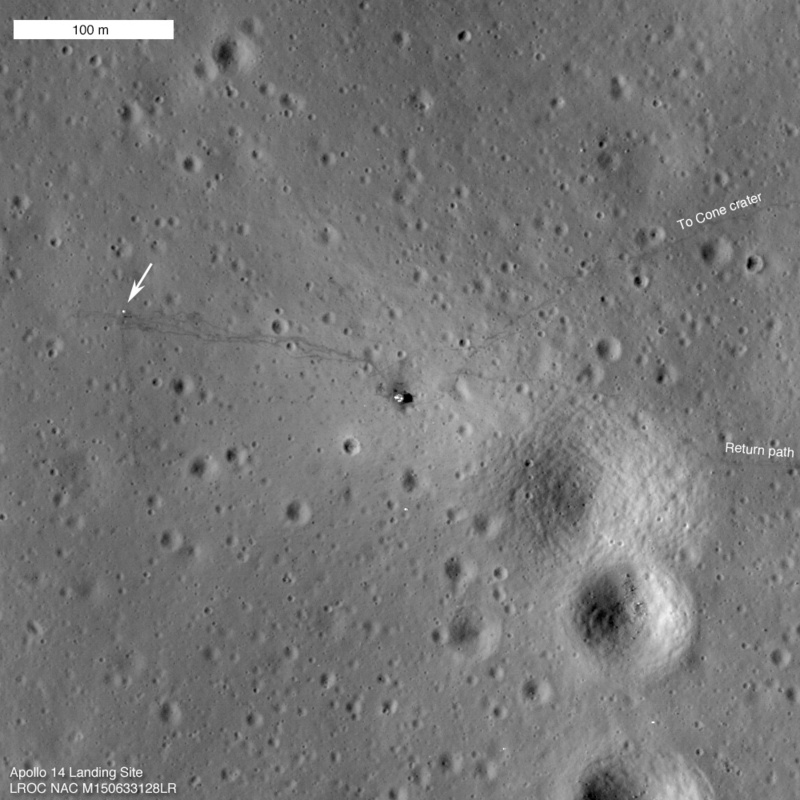 Think of the Apollo sites as benchmarks put in place four decades ago for the LROC team.